Do you think the new Penfolds G3 wine is too expensive? Penfolds Grange Bin 95 is probably Australia's best known red wine among connoisseurs, famous for its longevity. 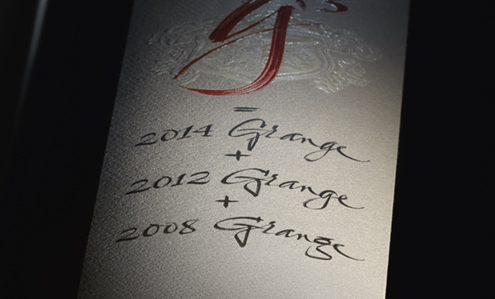 In 1995, the Wine Spectator named the 1990 Penfolds Grange as its wine of the year, and the Wine Advocate proclaimed Grange to be “the leading candidate for the richest, most concentrated dry red table wine on planet Earth.” The release price of Grange has a huge effect on the value of other ultra-fine Australian wines, as Penfolds tries to ensure that it is the most expensive wine on general release from Australia (for some details, see Top 25 Most-Expensive Australian Wines). Mind you, the prices don't even remotely challenge the limited-production wines that make up the top 100 most expensive wines currently available in the world. After all, the current Grange release is only $A850 ($US650) per bottle, whereas these other wines cost thousands (see Top 50 Most Expensive Wines in the World). Mind you, a complete set of Grange vintages (1951-2013) recently sold for $A294,320 ($US224K). To compete with these more expensive wines, Penfolds also occasionally releases limited-production wines, at thousands of dollars per bottle. Recently, they announced the upcoming release of a wine called G3, which is a mix of three Grange vintages, first blended and then further aged together in barrels (see Introducing Penfolds G3, a new wine born from Grange DNA). The release price will be $A3000 per bottle, with 1200 bottles available by "expressions of interest" only. This is a wine for investment, not drinking. For $3000 you could buy three or four vintages of Grange and, if you really wished, make up a blend yourself. Not only would this be more economical, it would be a more interesting experience / exercise for a wine lover ... Penfolds G3 would have been more interesting, even compelling, had it been released at $1000 per bottle rather than at $3000. In the tradition of this blog, I cannot let these numbers go by without taking a closer look at them. 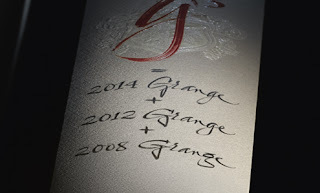 Penfolds has set the G3 at 3.5 times the cost of the three Grange wines being blended. Here, I show that this makes the G3 wine nearly twice as expensive as might be expected, even given that it is a Grange blend. 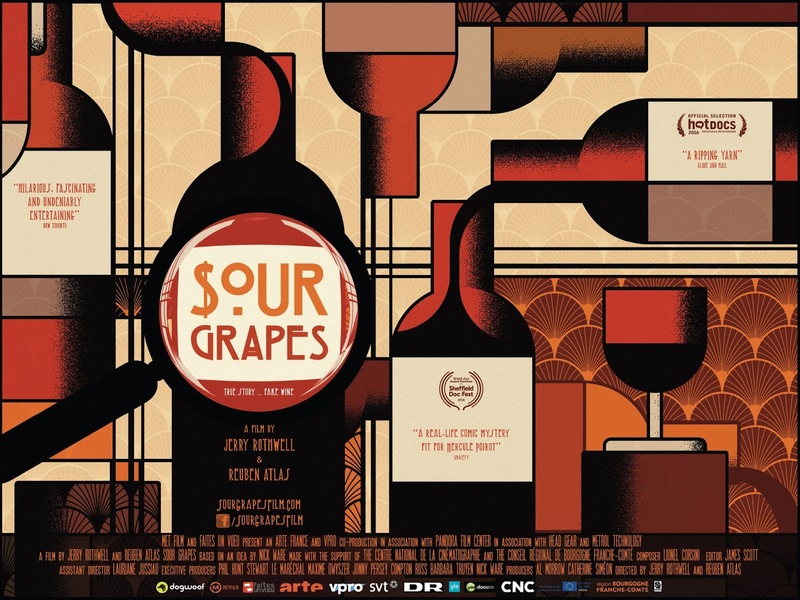 For my analysis, I first need to work out whether Grange is being released at a reasonable price in the first place. Surprisingly, one can make a case that the current release is actually under-priced. To see this, we need the prices of Australia's most expensive wines. I started with The Wine Front's most recent list (May 2017) of Australia’s Most Expensive Wines, which is comprehensive but not exhaustive. This compilation consists of current-release still wines listed at $A150 ($US115) and above (ie. no sparkling wines, no fortifieds; and excluding special & limited releases). I then updated a couple of the prices, and added a few more candidates, making a total of 117 wines for my analysis. The idea here is to use these data to derive an "expected" price for the Grange wine based on the prices of the other wines, so that we can compare this to the actual Grange price. I will do this by relating the wine prices to the rank order of those prices. This is shown in the graph, where each point represents a single wine; only the two most expensive wines are labeled. The graph is plotted with the logarithm of both axes, which means that the Zipf "power model" can be represented by a straight line on the graph, as explained in a previous post. As shown, the Power model fits the data extremely well (98% of the data are fitted), but only if we exclude the two most expensive wines (shown in pink). This means that neither the Penfolds Grange (the most expensive wine) nor the Henschke Hill of Grace (the second wine) has a bottle price that is in line with the other 115 wines. Indeed, both wines appear to be under-priced! The Power model predicts that the current release of the Henschke Hill of Grace wine would be expected to have a bottle price of $A1,000, and the Penfolds Grange would have a price of $1,400 per bottle, based on the prices of the other wines. Their current retail prices are $A825 ($US635) and $A850 ($US650), respectively. So, don't be surprised to see these two wines increase to these "expected" prices in future releases. Neither Henschke nor Penfolds has recently been shy about raising their prices to ensure their primacy in the Australian market. We can now try to derive an "expected" price for the new G3 wine, by repeating the above analysis, but moving all of the wines down one place in the rank order (ie. Grange becomes the #2 wine instead of #1, etc). The new equation for the Power model (excluding Grange and Hill of Grace) will give us a predicted price for the new #1 most-expensive wine in the list. This turns out to be a bottle price of $A1,550, which is fractionally more than half of Penfolds' proposed price for the G3 wine. So, even given that the wine is a Grange, the proposed G3 price is, indeed, much more than we should expect to pay. Mind you, this expected price is 50% more than Campbell Mattinson is prepared to pay for a Grange blend, so he may actually be under-valuing the wine. The New Testament gospels warn us about the danger of putting new wine into old wineskins. This was a religious parable of Jesus, with several possible interpretations; but it has taken on a very different relevance in the modern world, with increasing incidences of collector fraud involving wines. Counterfeit wine has been much in the media in recent weeks (eg. Wine maven Kurniawan, convicted of fraud, loses bid for freedom ; Billionaire Koch brother's crusade against counterfeit wine ; Why it’s so hard to tell if a $100,000 bottle of wine is fake ; Napa wine merchant accused of fraud in client's lawsuit). We have even gotten to the stage where there is fake news about allegedly fake wines (Penfolds hit by fake wine claims). Discussion of these topics seems to range from outrage at the fraudster, through fascination with how it's done, to wondering how much of it has been done (eg. $100 million of counterfeit wine in circulation ; 20% of all wine in the world is fake). Among all of these news stories and commentaries, there is one general point that seems not to have been emphasized — wine collector fraud and wine consumption fraud are two different things. Furthermore, wine collector fraud requires a combination of massive wealth and massive snobbery on the part of the collectors — if there were no people with this combination of characteristics, then collector frauds would not even be conceived, let alone perpetrated. Fraud directed against wine collectors is a rather different thing from most other frauds, which are usually grouped as consumption fraud rather than collector fraud. Far too much of the wine discussion has failed to clearly distinguish these to types of fraud, which are clearly described by, for example, Lars Holmberg (2010. Wine fraud. International Journal of Wine Research 2: 105-113). The difference is very important, because consumers and collectors are very different people. The main purpose of this blog post is to call attention to this distinction. Consumption wine fraud is usually directed at inexpensive or mid-price wines, and includes things like: misrepresenting the grape variety, grape origin or alcohol content; adulterating the wine with sugar, water, coloring, flavors, or something much worse (like glycol or lead); and running a retail ponzi scheme. These things can be done on a large scale, and they potentially affect all consumers. Collector fraud, on the other hand, usually involves luxury wines, and is directed almost solely at individuals with more money to pay for the wine than they have technical ability to correctly identify that wine. In the latter case, irrespective of what we may feel about the fraudster, we should recognize that the collectors who bought the wines are ultimately victims of their own snobbery, and having the wealth to display that snobbery. Anyone who spends tens of thousands of dollars on a bottle of wine can only be doing so for the snob value of having people know that they did this (Campbell Mattinson: "the rich and powerful need something rich and powerful to spend their money on"). These are wine investors, not wine drinkers, and so we are actually talking about wine investment fraud, which is not too dissimilar to art investment fraud. This is a far cry from consumption frauds directed at wine drinkers in general. 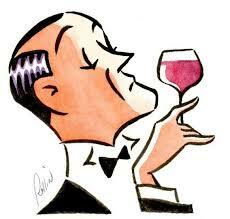 Wine can be a good financial investment, of course, but only if you can authenticate the wine. This is a very hard and expensive thing to do. Perhaps these investors might consider some alternative means of disposing of their massive wealth? There are plenty of people besides fraudsters who would like the opportunity to make good use of the money; and many of these people actually perform publicly useful services, rather than the solely private one of enhancing investor snobbery. 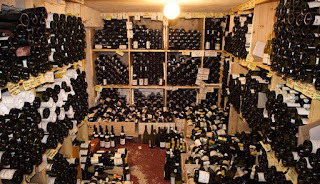 Interestingly, there seems to have been no diminution of the prices of rare wines, in spite of all of the fuss about collector fraud (Q&A: François Audouze, wine collector). This illustrates the illogicality of luxury wine prices. Wine snobbery comes in many guises. Snobs are conventionally considered to be those people who value exclusivity and status above everything else. However, there are alternative ideas about this characterization. For example, Jeany Miller (The parasitic nature of the wine fraud) has suggested that: “Wine snob is an affectionate term for people who understand and enjoy wine." This may be giving the real snobs a bit too much credibility, but it does emphasize the wide-ranging nature of the term. In particular, not all wine snobs have massive wealth, although a certain level of financial liquidity is obviously required. Snobbery on its own is usually relatively harmless, but combining it with increasing wealth is simply asking for increasing amounts of trouble. Wine snobbery has been a topic of discussion for quite a while. For example, whole books on the topic have been around since the 1980s, varying from the humorous (The Official Guide to Wine Snobbery, by Leonard S. Bernstein, 1982) to the very serious (Wine Snobbery: an Insider's Guide to the Booze Business, by Andrew Barr, 1988). Barr, in particular, describes how a large section of the drinks industry relies on snobbery for its profitability. Luxury wines cost an arm and a leg (see The cost of luxury wines), but they are not much better in quality than wines costing a tenth of the price (see Luxury wines and the relationship of quality to price). It takes snobbery and wealth to get involved in this segment of the refreshments business. Old bottles of wine also provide snob value, of course, but they can often do this without much monetary expenditure. In Europe, old wine is available on eBay, but massive wealth is not usually to be found there — the wealthy shop elsewhere than eBay (or Amazon). Snobbery is available on eBay, like anywhere else, but it is not massive — there is little snob value to be gained from saying that you shop on eBay. But turning up to dinner with an old bottle of wine does not require that you tell anyone where you got it! Consumer wine fraud has been detected involving some relatively inexpensive wines, as well as the more newsworthy expensive ones, and so caveat emptor always applies, on eBay as much as anywhere else. However, on eBay it is much more likely that an old bottle of wine will be undrinkable, rather than that it will be drinkable but not what the label says it is. Poor storage of old bottles is a far bigger risk than is a problematic pedigree. It is for this reason that reputable sellers on eBay emphasize that you are buying the bottle not its contents. Perhaps that is a warning we should put on all old bottles, no matter what their price or provenance? You are buying the snob value of the label, not the wine — pay accordingly, and don't complain. For a later, but similar, take on the importance of distinguishing the two types of wine fraud, see Oliver Styles' commentary: Worried about wine fraud? that's rich. The current thinking seems to be that the "wisdom of crowds" (CellarTracker, TripAdvisor, Amazon Reviews) is the most reliable way to judge something; but that thinking is deeply flawed. It's not just the anonymity of those making the judgements, and the fact that they may or may not have experience, independence, or have an agenda, but that crowd behaviour itself is far from impartial. We've all experienced people "tasting the label"; but there is also no doubt that members of the crowd allow their judgement to be skewed by others. That's why in big groups scores always converge toward the safe middle ground. So, we can treat this as Proposition #1 against the potential impartiality of the CellarTracker wine-quality scores. For Proposition #2, I have previously asked Are there biases in community wine-quality scores? In answering that question I showed that CellarTracker users have (for the eight wines I examined) the usual tendency to over-use quality scores of 90 at the expense of 89 scores. Seems like the CellarTracker score is consistently lower than multiple professional reviewers on a consistent basis. I would think that the populus would trend higher, [and] not be as rigorous as "pro" reviewers. But consistently the CT scores are markedly lower than the pros. So, we have three different suggestions for ways in which the wine-quality scores of the CellarTracker community might be biased. This means that it is about time that someone took a detailed look at the CellarTracker quality scores, to see how much bias is involved, if any. The quality scores assigned by some (but not all) of the CellarTracker community are officially defined on the CellarTracker web site: 98-100 A+ Extraordinary; 94-97 A Outstanding; 90-93 A– Excellent; 86-89 B+ Very Good; 80-85 B Good; 70-79 C Below average: 0-69 D Avoid. However, the "wisdom of crowds" never follows any particular formal scheme, and therefore we can expect the users to each be doing their own thing. But what does that "thing" look like when you pool all of the data together, to look at the community as a whole? This is a daunting question to answer, because (at the time of writing) CellarTracker boasts of having "7.1 million tasting notes (community and professional)". Not all of these notes have quality scores attached to them, but that is still a serious piece of Big Data (see The dangers of over-interpreting Big Data). So, I will look at a subset of the data, only. This subset is from the study by Julian McAuley & Jure Leskovec (2013. From amateurs to connoisseurs: modeling the evolution of user expertise through online reviews. Proceedings of the 22nd International Conference on the World Wide Web, pp. 897-908). This dataset contains the 2,025,995 review notes entered and made public by the CellarTracker users up until October 2012. I stripped out those notes without associated quality scores; and I then kept those notes where the wine was stated to have been tasted between 2 October 2002 and 14 October 2012. This left me with 1,569,655 public quality scores (and their associated tasting date), which covers the first 10 years of CellarTracker but not the most recent 5 years. The obvious first view of this dataset it to look at the time-course of the review scores. The first graph shows how many public user quality scores are represented for each month of the study period. CellarTracker was designed in 2003 and released in 2004; therefore, all wines before that time have been retrospectively added. So, the graph's time-course represents recorded tasting time, not time of entry into the database, although the two are obviously related. The database reached its maximum number of monthly scored wines at the beginning of 2011, after which it remained steady. The dip at end of the graph is due to the absence of wines that were tasted before the cutoff date but had not yet been added to the database at that time. The annual cycle of wine tasting is obvious from 2005 onwards — the peak of tasted wines is at the end of each year, with a distinct dip in the middle of the year. This presumably represents wine consumption during the different northern hemisphere seasons — wine drinking is an early winter thing. The next graph show the frequency (vertically) of the wine-quality scores (horizontally). This should be a nice smooth distribution if the quality scores are impartial; any deviations might be due to any one of the three propositions described above. Although it is somewhat smooth, this distribution shows distinct peaks and dips. For the lower scores, there are distinct peaks at scores of 50, 55, 60, 65, 70, 75, and 80. This is not unexpected, as wine tasters are unlikely to be interested in fine-scale differences in wine quality at this level, or even be able to detect them. For the scores above 80, 57% of the scores are in the range 88-92. If we are expecting some sort of mathematically average score for wines, then these data make it clear that it is a score of 89-90. That is, the "average" quality of wine consumed by the CellarTracker community is represented by a score of c. 90, with wines assessed as being either better or worse than this. However, a quality score of 90 shows a very large peak compared to a score of 89, exactly as discussed under Proposition #2 above. I have previously reported this fact for both professional (Biases in wine quality scores) and semi-professional (Are there biases in wine quality scores from semi-professionals?) wine commentators, as well as the CellarTracker community. So, there is apparently nothing unusual about this, although it could be seen as questioning the general utility of wine-quality scores. If subjective factors make people use 90 in preference to 89, then what exactly is the use of a score in the first place? Moving on, we now need to look for other possible biases in the scores. In order to evaluate whether any of the scores are biased, we need an unbiased comparison. As I explained in my first post about Biases in wine quality scores, this comes from an "expected frequency distribution", also known as a probability distribution. As before, it seems to me that a Weibull distribution is suitable for wine-score data. This Weibull expected distribution is compared directly with the observed frequency distribution in the next graph. In this graph, the blue bars represent the (possibly biased) scores from CellarTracker, and the maroon bars are the unbiased expectations (from the probability model). Those scores where the heights of the paired bars differ greatly are the ones where bias is being indicated. This analysis shows that quality scores of 88, 89, and 90 are all over-represented, while scores of 93, 94, and 95 are under-represented, compared to the expectation. This indicates that the CellarTracker users are not giving as many high quality scores as expected, but are tending to give too many scores of 88-90, so that scores are skewed towards values below just 90 rather than just above. This is exactly what was discussed under Proposition #3 above, where the professionals seem to give somewhat higher scores when the same wines are compared. Furthermore, it is in line with Proposition #1, as well, where the community scores simply converge on a middle ground — a CellarTracker score is more likely to be in the small range 88-90, rather than most other numbers. Furthermore, quality scores of 81, 83, and 86 are also under-represented, according to the analysis. This creates a clustering of the lower scores at certain values. Presumably, the tasters are not bothering to make fine distinctions among wines below their favorite scores of 88-90. We can now turn to to look at the time-course of the wine-quality scores. This next graph shows the average quality score for the wines tasted during each month of the study. The average score was erratic until mid 2005, which is when the number of wines (with scores) reached 3,000 per month. So, that seems to be the number of wine scores required to reliably assess the community average. From 2007 to 2009 inclusive, the average quality score was c. 88.5, although there was a clear annual cycle of variation. Notably, after 2009 the average quality score rose to >89. Does this represent the proverbial score inflation? Or perhaps it is simply the community maturing, and starting to give scores more in line with those of the professionals (which are higher)? To try to assess this, the final graph shows the time-course of the proportion of scores of 95 or above. Many of the professional reviewers have been accused (quite rightly) of over-using these very high scores, compared to the situation 20 years ago, and so we can treat this as an indication of score inflation. This graph shows no post-2009 increase in the proportion of very high scores. So, the increase in the average CellarTracker quality score does not represent an increased usage of very high scores, but is instead a general tendency to assign higher scores than before. Or perhaps it represents the community drinking better wines? Finally, it is worth pointing out the annual cycle in the average scores and in the proportion of very high scores. The annual peak in quality scores is in December. That is, wines get higher scores in December than at most other times of the year. I hope that this represents people buying better wines between All Hallows Day and New Year, rather than drinking too much wine and losing their sense of values! All three predicted biases in the CellarTracker wine-quality scores are there! The community scores are generally lower than expected, they cluster in a smaller range around the average than expected, and a score of 90 is over-used compared to 89. There are also very distinct seasonal patterns, not only in the number of wines tasted but also in the scores assigned to them. These conclusions are not necessarily unexpected. For example, Julian McAuley & Jure Leskovec (cited above) noted: "experienced users rate top products more generously than beginners, and bottom products more harshly." Furthermore, Omer Gokcekus, Miles Hewstone & Huseyin Cakal (2014. In vino veritas? Social influence on ‘private’ wine evaluations at a wine social networking site. American Association of Wine Economists Working Paper No. 153) have noted that community scores are normative (= "to conform with the positive expectations of another") rather than informational ("to accept information obtained from another as evidence about reality"). In the modern world, it may well be true that "the crowd is the new critic", but it turns out that the crowd as a group is actually no more impartial than is any single person. In order to understand complex sets of information, we usually summarize them down into something much simpler. We extract what appear to be the most important bits of information, and try to interpret that summary. Only the simplest pieces of information can be left alone, and grasped on their own. This creates an inherent problem — data summaries also leave information out, and that information may actually be very important. Sadly, we may never find this out, because we left the information out of the summary. Clearly, the biggest danger with what are known in the modern world as Big Data is that, in order to understand it, we first turn it into Small Data by ignoring most of it. That is, the bigger the dataset then the more extreme is the summary process, because of our desire to reduce the complexity. Data summaries tend to be all the same size, no matter how big the original dataset was. Unfortunately, most of the discussion about Big Data has involved only the technical aspects, along with the optimistic prospects for using the data, without much consideration for the obvious limitations of data summarizing. One of the most common ways that we have historically used to summarize data is to organize the data into a few groups. We then focus on the groups, not on the original data. In this post, I will discuss this in the context of understanding wine-buying customers. By summarizing data, we are looking for some sort of mathematical structure in the dataset. That is, we are looking for simple patterns, which might then mean something to us, preferably in some practical sense. Putting the data into groups is one really obvious way to do this; and we have clearly been doing it for millenia. For example, we might group plants as those that are good to eat, those that are poisonous, those that are good as building material, etc. The biggest limitation of this approach is that we can end up treating the groups as real, rather than a mathematical summary, and thus ignore the complexity of the original data. For example, groups can overlap — a plant can be both poisonous and good for making house walls, for example; and focusing on one group or the other can make us forget this. Groups can also be fuzzy, which means that the boundaries between the groups are not always clear. Dog breeds are a classic example — pure-bred dogs clearly fit into very different groups, and we cannot mistake one breed for another. But dogs of mixed parentage do not fit neatly into any one group, although we often try to force them into one by emphasizing that they are mostly from one breed or another. That is, the breeds are treated as real groups, even though they overlap, and thus are not always distinct. Let's consider two examples, one where the groups might make sense and one where they are more problematic. When considering customers, one obvious grouping of people is gender, male versus female. In science, this is simply a genetic grouping (based on which genes you have), but elsewhere it is usually treated as also being a behavioral grouping. Businesses are therefore interested in what any gender-associated differences in behavior might mean for them. Consider this example of using Twitter hashtags to quantify gender differences: The hard data behind how men and women drink. The data come from "half a million tweets collected over the course of a year (June 2014 - July 2015), with the gender detected from the first name of the tweeter." The first graph shows the frequency of 104 drink-related hashtags, arranged according to how often they originated from male versus female tweeters. Note that no hashtags are used exclusively by either males or females — indeed, only two exceed 80% gender bias (homebrew, malt). Equally, no hashtags are used equally by males and females — the closest are: cachaca, patron, caipirinha. We thus might be tempted to recognize two groups, of 40 "female" words and 64 "male" words. However, we have to be careful about simply confirming our starting point. We pre-defined two groups that represent observed differences (in genetics), and then we have demonstrated that there are other differences (in behavior). The data are essentially continuous, with some words having less than 47% vs. 53% gender distinction. In this case, gender still forms indistinct groups. Moving on, this situation becomes even more complex when we start to consider situations with many possible groups, based simultaneously on lots of different characteristics. In an earlier post, I discussed the mathematical technique of using ordinations to summarize this type of data (Summarizing multi-dimensional wine data as graphs, Part 1: ordinations). This next graph shows an example of the resulting data summary, called an ordination diagram. If each point represents a person, then the spatial proximity of the points would represent how similar they are. So, points close together are similar based on the measured characteristics, while points progressively further apart are progressively more different. This ordination diagram does not contain any obvious groups of people — they are spread pretty much at random. However, that does not mean that we cannot put the people into groups! Consider this next version of the same diagram, in which the points are now colored. The five different colors represent five groups, one in each corner of the diagram and one in the center. Clearly, these groups do not overlap. More to the point, the centers of each group are quite distinct. Thus, the groups do have meaning as a summary of the data — combining the descriptions of each group of people would create an easily interpreted summary of the whole dataset. However, these are fuzzy groups — the boundaries are not distinct, and the groups of people are not discrete. Thus, I am also losing a lot of information, as I must in a summary of complex data; and I need to care about that lost information as well. I cannot treat the groups as being real — they are a convenience only. As a technical aside, it is worth noting that the groups are not an illusion — they are an abstraction. The point of this blog post is to make it clear that this problem must especially be addressed when dealing with Big Data, because that is where techniques like ordination come into play. Big data is a term for data sets that are so large or complex that traditional data processing application software is inadequate to deal with them ... Lately, the term "big data" tends to refer to the use of predictive analytics, user behavior analytics, or certain other advanced data analytics methods that extract value from data ... Analysis of data sets can find new correlations to spot business trends, prevent diseases, combat crime, and so on. In business, the use of information from social media is the most obvious source of Big Data. People are often perceived as being much more honest in their online social interactions than they are in formal surveys; and so this relatively recent source of information could potentially be much more useful to modern business practices. As this infographic indicates, the social media can generate some really big datasets. Making sense of these data involves some pretty serious summarizing of the data. Therefore, the principles that I have discussed above become particularly important — we have to be very careful about how we interpret those summaries, especially if we have summarized the data into groups. This study was produced by a group originally called VinTank, and who at the time were a subsidiary of W2O (who subsequently closed them down!). The objective of the report was to combine data about wine drinkers, based on the social media, with data about wine buyers, based on online purchases. This is a perfect example of using Big Data to help businesses understand their customers. The social data were for 12,500 individuals, based on 183,000 Twitter posts assessed by the TMRW Engine software. The buying data were for 53,000 online wine purchases, recorded by Vin65. So, the report attempts to summarize the wine behavior of people who use both social media to discuss wine and online shopping to purchase wine, in the USA. Clearly, this does not attempt to represent all US wine drinkers and buyers — the people summarized "buy directly from wineries, they are digitally savvy and use both e-commerce and social media, and they like wine more than the casual consumer." Using a methodology built upon the foundations of demographic and psychographic market research techniques, we segmented [= grouped] online wine customers according to their psychographic profiles: including hobbies, preferences, activities, and political outlooks ... We were [then] able to apply this segmentation to purchasing behavior and demographic profile at the individual customer level. As a result we've identified 5 common "tribes" of online wine buyers. To personalize these five tribes, we've given each one a name, a theme and a personality description. You can immediately see what I am warning you about here — these five tribes are not real, even though they have names and distinct personalities. The psychographic and demographic characteristics of the people vary continuously, and grouping them is merely a convenient mechanism for data summary. In order to get a sense of what these groups look like, refer to the colored version of the ordination diagram shown above, where the group centers are different but the boundaries are fuzzy. I have carefully analyzed the data presented in the report, and I can assure you that the five "tribes" really do have different behavioral "centers"; but I would hate to have to assign anyone to one group or another. At a personal level, I can't see myself as being in any of these five tribes. Part of the problem here is that categorizing people in this manner simply perpetuates cultural stereotypes. In this case we have: Anna, the sophistocrat; Graham, the info geek; Sofia (or Sophia), the digital native; Don, the southern conservative; and Kevin, the trophy hunter. If none of these people sounds like you, then you are probably right. Big Data are useful, there is no doubt about it. However, big data can potentially have big problems, as well, and we need to guard against the consequences of this. One of the most common ways to summarize Big Data is to assign the study objects to groups, but these groups are not real — they are a conceptual convenience, nothing more. Hopefully, grouping their customers will help businesses provide services to those customers, but that does not mean that the businesses should ignore those people who do not fit neatly into any of their groups. VinTank has reappeared as AveroBuzz, which is intended for the hospitality industry as a whole, not just the wine part.